How can we stop the Tories before they destroy the NHS and wreck the welfare state? What can we do to shift or go round the seemingly immovable obstruction that the TUC puts in the way of resistance? How can we unite all the many fantastic campaigns against cuts and privatisation and discrimination and war into a single unstoppable force? How can we capitalise on the huge support shown for Left Unity to create a new mass party of the working class? We do not like the way the Left Party Platform reduces socialism to just another thing rather than setting it as our overall goal – a planned economy under the control of the working class majority, in place of the madness of the market that underpins all the many ways we suffer. We do not like the way the Socialist Platform presents the socialist goals of the future in serene abstraction from the day to day battles that the working class are carrying out – the very struggles which must win if we are to develop the force that will actually create socialism. Above all we do not like the way they both stay silent on the most pressing practical challenges of the hour. So we have drafted an alternative. We try to pose the right questions for Left Unity to debate out. 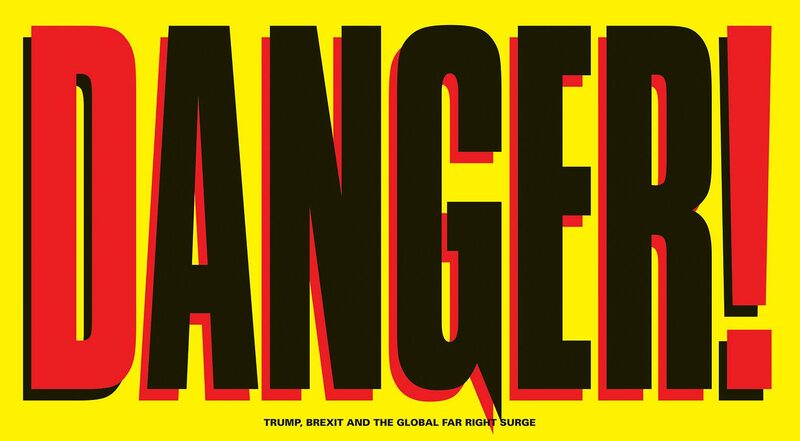 These include immediate issues for the class struggle in Britain – which we need to take a stance on quickly before the Tories solve them for us – and an overarching strategic question: how can capitalism be overthrown? We hope we will have a constructive debate that will help create a party that is anti-capitalist and socialist, and not just in general – in how it sees the future on paper -but in practice, in how it approaches the real class struggles in Britain and around the world today. Our aim is to found a new political party of the working class in Britain. We are doing this because after three years of the Tory-Lib Dem Coalition’s vicious austerity, Ed Miliband’s Labour Party has utterly failed to stand up for the poor, the dispossessed, workers, women, the disabled, pensioners, unemployed, black and Asian people, tenants, public service users, students, and young people who are being made to pay for the economic crisis. Instead Miliband continues the policy of Blair and Brown and puts the millionaires before the millions. Far from attacking the Tories for driving working people into poverty, for the privatisation of the NHS and education, and for their demolition of benefits and welfare, for their racist campaigns against migrants, the Labour leaders refuse to commit themselves to reversing the Tory cuts; they refuse to oppose the vicious cap on benefits; they refuse to brand racism as racism; and they refuse to defend public sector pay, pensions and jobs. Instead Miliband has turned his fire against the six million-strong trade unions – still the largest organisations of working class people in Britain – and wants to reduce their already limited influence over Labour policy. At the same time the leaders of the trade unions have shown themselves unwilling and incapable of mobilising these millions in an effective resistance to the attacks. Fearful of the anti-union laws that the Tories introduced – and Blair and Brown preserved – they have not called a single mass demonstration in defence of the NHS. The fiasco of the so-called coordinated action on public sector pensions left the labour movement disoriented and demobilised. The talk of a general strike at the 2012 TUC remained just that – empty talk. Yet whenever union members have been called out- or when they have rallied themselves at local level – the results have been inspiring. It is the official leadership of the working class – in the unions and the Labour Party – that is unwilling to fight. We are struggling for no less than the defence of the welfare state gained since 1945. The stakes are so high we have no choice but to create a new leadership – a leadership of the activists from our grass roots campaigns and militants in the workplaces schools and colleges. Together we can form a new leadership – a party – to offer an effective strategy for resisting and driving out this government of social wreckers. This strategy can turn our fragmented fightback into a united and irresistible display of solidarity. We can go from defending our jobs, wages, pensions and services to rolling back the forces of privatisation and profiteering. We can fight once more for the socialist goal of a society built on social justice, equality and an end to exploitation. We want a party that fights for socialism, for a world free of racism and war, for women’s liberation, for an end to environmental devastation, for a sustainable future, for internationalism, and for a publicly-owned economy, democratically managed and planned by those who work and those who use its goods and services. Our members must to have the fullest rights to propose ideas, to challenge and change policy, to organise within the party to influence its direction, and to have the right to disagree and to debate in a spirit of mutual confidence, respect and solidarity. We want all our representatives on councils or in parliament to be accountable to and recallable by those who voted for them, and to take only the average wage of the working class when in public office. On all our party bodies, we want to ensure equal representation of women, the fullest possible representation of black and Asian people, of the disabled, of LGBT people, of workers and youth. We guarantee the right of all oppressed groups to caucus within the party and challenge all examples of discrimination and oppression. The Tories and their capitalist backers are on the offensive, determined to do as much damage as they can to the welfare state and the NHS before the next election. They want to use racism and scapegoating to divide us and distract us from fighting back. We have to do all we can to help defeat the Tory attacks, bring down the government and repel the growth of the Far Right. We propose the following immediate policies, all based on action. The TUC moderates have done next to nothing to mobilise millions of union members against austerity. They spend more time witch hunting their own best activists than leading a fight back. By contrast the TUC lefts have tried to organise coordinated one-day legal strikes over pensions, but these fell apart as Unison accepted a deal and the lefts failed to appeal to Unison members over the heads of their right wing leaders. Last year the TUC launched a consultation on the practicalities of a general strike. Our reply whenever we have been asked has been yes but still they do nothing. It is plain that to make this happen we will have to fight from the grassroots up, for strikes and campaigns this autumn to link up, to defy the union laws and combine our strength in a joint indefinite national strike against austerity. We should launch a fight for a democratic, nationwide movement within the trade unions to break the control of the vastly overpaid general secretaries and the officials that can delay and call off our struggles without consulting us. We need to spread the militant defence of jobs and services, put all unions under rank and file control, pay all officials the average wage of the workers they represent, make all officials accountable and recallable. Our watchword should be: with the union leaders where possible, without them where necessary. The tremendous response to the People’s Assembly and the large turnouts at regional assemblies show the mood is there to bring together all the anti-austerity campaigns into an active force that can practically unite action on a local, regional and national basis. We want to make them lasting bodies, able to make democratic decisions through majority voting and then carry them out. We will try to draw in delegates from as many campaigns, estates, workplaces, schools and colleges and we can. The EDL, BNP and other fascist groups try to divide the working class by stirring up hatred and carrying out violent attacks against Muslims, black and Asian people, LGBT people, and the left. We should back the formation of united campaigns in every area with the aim of denying the fascists any platform to spread their views or to incite hatred and violence. 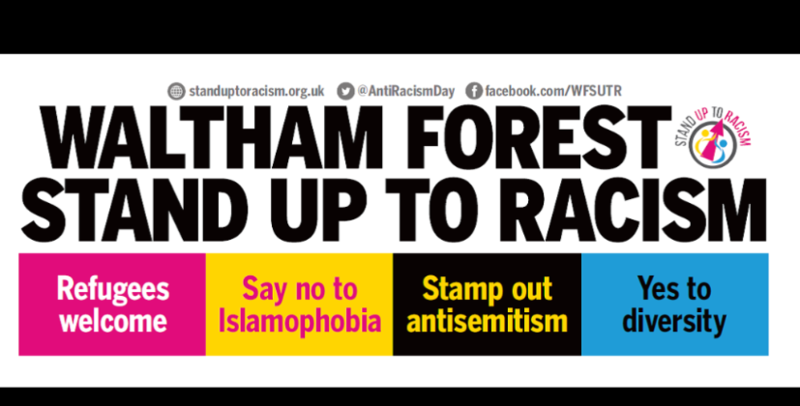 We will work with militant antifascist groups, trade unionists, Muslims and youth to form self-defence groups to defend our meetings, demonstrations mosques and communities, to stop EDL hate marches and resist police attacks on anti-fascist and anti-racist protests. 5. International solidarity against austerity, unemployment, racism and war. organisation of the working class. We will fight all wars and ‘interventions’ planned by our rulers, we will support the Arab revolutions and the Palestinians, we will try to get all the troops and bases out of the Middle East and Central Asia. 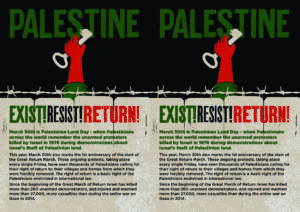 We will take solidarity action with movements for democracy and social justice, against imperialist occupation and with national liberation movements. Our founding conference is scheduled for November 2013. The huge groundswell of support for Ken Loach’s first appeal for this new party – which drew nearly 10,000 backers in just a few weeks – is a clear sign that large numbers are ready to rally to an alternative. But it will not be possible for our new initiative to rally scores of thousands, or to draw up a detailed party programme, on such a short timescale. That means we should deepen and extend the process of policy commissions that we launched in June, continue it beyond November, and above all try to bring many thousands of activists and campaigners beyond our current ranks into the process of drawing up proposals for policy and action and then debating them out. We appeal to all to come together in big local gatherings to help form this new party and shape its policy, in an atmosphere of democracy, solidarity and taking action together. economic policies, our relation to the trade unions, our approach to elections, policies on benefits and welfare, Scotland, Ireland, the EU, environmental destruction, deepening democracy and resisting repression, our attitude to new left parties in Europe, women’s, LGBT, black and youth liberation. Above all we will be able to discuss with thousands how we can develop a strategy for taking real power into the hands of the people, forming a working class government, defeating capitalism and creating a world free of poverty, exploitation, oppression and war. Submitted by Rebecca Allan (Leeds), Richard Brenner (Southwark), Jeremy Drinkall (Lambeth), Marcus Halaby (East London), Joy McKnight (Southwark), Steve McSweeney (East London), Paul Silson (Wakefield), Dave Stockton (Lambeth), Kady Tait (Leeds), Andy Young (Leeds). -most of these campaigns already exist in some form or another? Only left unity can pull all the threads together. Some people have got the wrong end of the stick they think we have to start from the position we hope to get to by the end of the process. You cant do everything day one you have to a strategy and it is a very bad situation we’re in. THe left party platform is supposed to be broad because it is meant to be unifying over a wide sway of views from people on the left. The bad news is that each speaker is only being given 5 minutes, to maximise the amount of discussion and participation, and we don’t have any funds to pay expenses, though we will do what we can by way of a collection. LU is slowly but surely going down the pan, ‘workers defence squads’ isn’t that a workers power concept? Oh, it is Workers Power. I have never, nor will ever, understand the common left-wing mantra of attempting to ban movements like the EDL or the BNP. Its very totalitarian. Surely, everyone agrees by now that it is much, much, much better for society as a whole to allow these people to embarrass themselves in public. Just look at Nick Griffin’s appearance on Question Time, systematically pressing the BNP self-destruct button. You want these people where you can see them, forcing them underground is one of the most mind-boggling policies I’ve ever come across, not just on the left, but predominantly so. Someone posted on Guardian CIF, there are plenty of people who would support socialist policies like re-nationalisation of the railways, but they wouldn’t like being called socialists, I say stop fetishising labels, a broad party can encompass all perspectives, but this intercine joshing of ideological positions is a dead end. i agree 100% what we need is less theory and less of brandishing political lingo that make people recoil (including me) and more of a programme of what this new party will DO: nationalisation, re-distirbution of wealth, funding properly the NHS, get rid of Trident, looking at the citizen wage, credit unions, youth programme ( a year of funded community service?) stuff like that is what we need to discuss and have on our manifesto, DUMP the left wing jargon! The three platform statements that we have had so far have all come from ultra-left factions wanting LU to adopt their own particular brand of “revolutionism”. While I personally agree with at least some parts of what they say, I am sure that any sort of sectarian ultra-left position is the last thing that LU should take on board. LU needs to appeal to democratic socialists, genuine social democrats ( a label which does not apply to the majority of the Labour Party leadership ) and, most importantly, to ordinary people who want a government which prioritises their interests over those of big business and the capitalist system. In other words, if it is to be anything different from the myriad of left factions, it needs to have a much BROADER perspective. Unless LU is able to achieve this, I might as well remain in the Labour Party ! You view the Left Platform as “ultra-left”? It’s not revolutionary as far as I can see. Radical yes, but that’s a good thing. If you want to present a broader platform, you’re welcome to – but if you do that, I do think you might as well stay in Labour. I very much share his view. If Left Unity becomes another domesticated left outfit like the German Left Party, which imposes anti-working class policies wherever it is enters local government (e.g. Berlin), then this is more hassle than worth it. Surely the LU should seek to tell the truth to working people. All this talk of having a “broader perspective” seem to really be about is a cover for telling working people lies to try to “appeal” them in short-term electoralist terms. If you think these platforms aren’t telling the truth then present your alternative platform for how working people can end their exploitation – assuming of course that you are interested in ending the exploitation of working people and aren’t just apologists for continuing capitalist economic and social oppression. If you don’t like the platforms, form a new one. I welcome them all, including the ones I strongly disagree with. We need to move away from the idea that disagreement is a bad thing, or that it stops us working together. The language of class struggle is boring, outdated and of little interest except to academics who study quasi religious groups. There is no need for Left Unity to be the anti party. What is required is a clear vision to offer people hope in a divided society, simple policies to implement this vision and community action to help and support people who are experiencing problems now. No need to wait for elections for the community action. 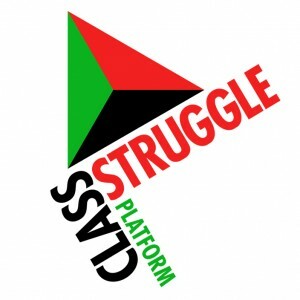 Many of the ideas expressed int The Class Struggle Platform and other Platforms can be integrated into a simple policy framework which can be offered to electors in the UK. 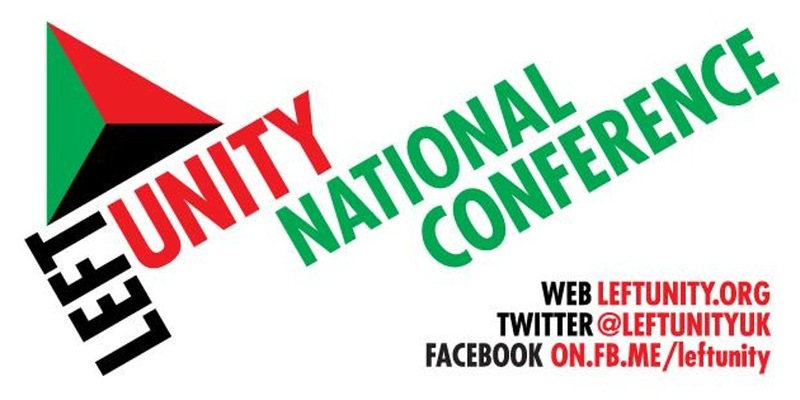 With solid community action to build support in communities Left Unity will be successful. Again, this is not a programme but a wish list of organisational issues. The Manifesto Group will be presenting a proper programme for the principled left unity and the transition to socialism very soon that will cut trough the false choices on offer from on the one side sectaranism (Socialist Platform and now this) and opportunism (Left Party). In 1919, a liberal newspaper, the “Neue Freie Presse”, warned the Austrian workers not to “succumb to unrealistic conceptions of classes” and to stop using words such as “bourgeoisie” and “proletariat”, seeing as those terms were “out of touch with the present” and did not do justice to “today’s modern entrepreneurs” and the “complexities of our society”. A politics that “takes words such as ‘proletariat’ as its starting point”, continued the paper, was “outdated”, “removed from reality” and “not understood by the majority of people”. I’m not claiming we’re in a similar situation today. This is just to illustrate the some people always claimed the language of class struggle was “outdated”. This is an example of it being outdated and boring! We can’t keep quoting things like a newspaper from Austria 1919 to prove a point… It is weird and it is alienating. People don’t talk like this in everyday life unless they’re activists, it’s 2013 and there’s plenty to be getting on with now, as David has mentioned. I think it is an interesting example and a point well made, not weird and alienating. I read way too many people on here being contemptuous and patronising about what so-called ‘ordinary people’ are interested in or prepared to engage with. I had no problem talking to passing people about matters of history this morning on our Left Unity stall in Milton Keynes. People who stopped by to talk about the redundancies being made at Wolverton Works as Railcare goes into administration were regularly drawing historical comparisons themselves. 1. We do not hide the fact that we are Marxists and address intelligent, class-conscious workers, of which there are very many. We are not cynical about most people’s ability and willingness to gain knowledge. The goal of this strategy is to collectively raise the working class to the political level of a future ruling class. 2. We adopt Hitler’s agitational credo: always speak in a way that can be instantly understood by the most stupid person in the room. Pander to that person’s anti-intellectual prejudice. The goal of this strategy is to lead the masses into thoughtless action and confine them to the role of permanent followers, while leaving complex politics to a few. Nothing comes out of nothing. No position at this point in time is likely to embody all critiques, or to embrace every perspective.I think different platforms and positions within the same organisation are a healthy reflection of the major perspectives within the membership. I deplore sectarianism, just as I deplore over-centralised decision-making by leaderships that exist for their own benefit rather than that of their membership, and of the class as a a whole. I must say that of the different positions in the form of platforms I have read, the Class Struggle faction comes closest to my own views, but nothing in Left unity needs to be carved in stone, except the basic principles upon which we would all agree. Isn’t the problem facing Left Unity that “the basic principles on which we would all agree” are necessarily so vague and limited that they are a guide to nothing – and anything – in terms of the class struggle and the liberation of humanity from the shackles of capitalist insanity. Unity is the essential required for any progress with this venture. We all have our theoretical interests, favourite authors, quotations, historic traditions etc. I think the challenge is to develop a common vision – what kind of society do we want?, some simple and straightforward policies to offer voters in the UK, and community work to address many current concerns. Not demonstrations and marches but on the ground actions to help and support individuals with their present problems. i think having the platforms published is clarifying the debate, i think those with more knowledge of marxist terminology need to explain the terms they are using. i think that those that think its boring for anyone to use marxist / labour movement terms are sounding a bit shallow. i think everyone in left unity shares a desire to see the unity of the left, particularly right now to better wage a fight back against austerity. in forming a new party of the left supporters of left unity have to learn to understand each other. saying we need to overthrow capitalism through the establishment of mass workers councils / soviets doesnt mean that we cant agree to form anti austerity community based campaigns for example. left unity is a current attempt to reform and unify the left. working together we can both look to the history of left struggle and forge a new movement. one should help the other. Marxist ideology is getting in the way. No harm in Marxists explaining what they mean but then it this to be turned into something useful. I am not sure that Marxism in its many varieties has anything all to do with progress with Left Unity.The most likely outcome of a reluctance to give way on Marxist terminologies is assorted sects fighting each other. I dont think this will sound shallow to people who want some action via Left Unity. I with you that I don’t think that Marxists should necessarily be using a hundred different esoteric terms but the concept of class is absolutely fundamental to how we see the world and absolutely key to our analysis of the current situation. So for us not to talk about it would be totally disingenuous. People are obviously going to come to Left Unity with a variety of different ways of seeing the world but hiding those differences is not going to lead to lasting unity and will only lead to splits down the line. If there is to be lasting unity we need to be transparent and openly debate differences and then work out what we can agree on. Your apprehension with regards to Marxists sects is understandable. They have a long history of sectarian squabbling. 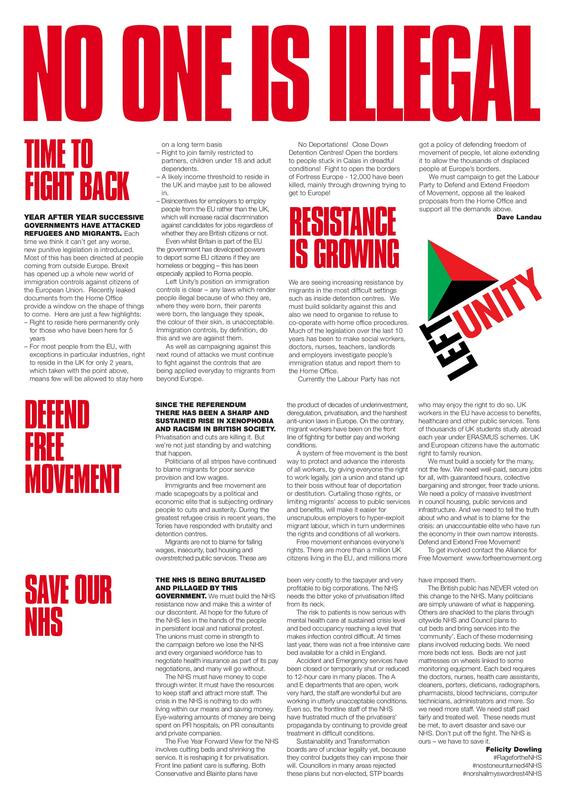 But there are many more Marxists who are joining Left Unity who have moved away or never subscribed to this mode of organising, who aren’t tied to a particular line, think for themselves and are motivated to building a party to fight back against the vicious assault coming from the ruling class. Sometimes when I look at what is happening in the UK and in moments of despair I think maybe a class analysis is necessary. But this raises many problems and as far as I know has never produced much in the way of long term beneficial outcomes.What ever you do with the ruling class within a few years it has reformed often drawing in the former revolutionaries and others who also should know better. So…why not forget about class structure and focus on the vision and the policies, and a form of democracy which makes it impossible for groups to usurp power? How to persuade the UK electorate to go along with this I have no idea! I am sure that community action now could begin the process of developing an electoral base. This can begin now .. no need to wait for elections or for this discussion to be completed. If you want to sign this statement, please email me (steve.wallis2460@gmail.com) with your name and location (branch/city/town/village). We need 10 members to become an official platform with the ability to put forward motions at the November conference. Sorry, I do find that very exclusionary on two levels – first, being explicitly revolutionary (I am a radical, not a revolutionary), and secondary placing me as a non-socalist left winger on the third tier down. We have a “Manifesto Group”? I think that is shocking. We don’t even have a fully formed party yet and we should not assume that we will have one in the near future; there is much debate to be had. How is it possible to develop a Manifesto (which I have always understood to be a tool for election, hardly a pressing issue for Left Unity, in my opinion) when the Party is still very much in its formative stages. My understanding is thus: we agree and/or create a Platform which will be a foundation for all other activities within the party. It is necessary therefore, for it to be clear, concise and unambiguous. From this a constitution can be developed, from within which the party’s democracy shall be clearly laid out, with deference to the foundation Platform clearly visible. From within this structure policies will emerge over a protracted timescale, again in clear deference to the foundation Platform and the constitutional democracy that has been established out of that. The results of this activity will be the distillation of policies into a Manifesto displaying our aims and objectives at election and other times. As far as I am aware, including the Class Struggle Platform, we now have three different Platforms that have so far been published, plus the proposed Revolutionary Platform that as yet has no signatories. The group that I attend has discussed the Left Party and the Socialist Platforms and I am sure they will be discussed further along with the the Class Struggle and the proposed Revolutionary Platforms and others, as they become available. It strikes me on reading however, how similar the Platforms so far published/proposed all are, and yet some of the egos of individuals are blocking this natural unification behind people’s ideas. We all state often enough that we want ideas to flow up from grass roots and that we need to dispel the sectarianism among the Left. I can’t help but notice though, that the moment we see any sort of drift towards unity of individuals or groups or, dare I say it, platforms then we hear the “oh we/ours are more socialist than you/yours” time and time again. Rather than dwell on the minutiae of every discussion that we engage in, is it not better to seize upon the obvious similarities of thinking among us all, in order to evolve into a fluid organisation that has the wisdom to be able to discuss all things at all levels? This unity of thought will advance strategies to carry our politics to all of the forthcoming fights and campaigns in which we are undoubtedly going to be involved. We are attempting to unite people, largely working-class people, around a set of ideas in order to set down a solid foundation upon which we can build a fluid, progressive, forward looking movement that will in the future have the resources, the will and the ability finally to overthrow Capitalism in its entirety. I have put my name to the Socialist Platform but could quite easily put my name to the Left Party or the Class Struggle platforms. I elect to stick with what I have chosen, quite simply because it is succinct in its progressive forethought. Notwithstanding this, I am sure that all signatories to the Socialist Platform, will be quite ready to discuss rewording and/or amendment where oversight is indicated or perceptions misconstrued. It is a Socialist foundation upon which a progressive movement is built: a movement that not only democratically represents working people (or working-class, if you will) but reaches out to include and encourage them, in all their diversity; to strive for their own salvation and finally cast off the shackles of Capitalism forever. I say, that our (Left Unity) Socialist Platform is inclusive and sets out our (Left Unity) aims and objectives in such a way that it can be amended if need be. To be honest I think phrases like ‘planned capitalism’ is better than ‘socialism’ as the latter dissuades people due to old associations with the USSR etc. Also wish a move away from ‘working class’ would happen, and frustrated that LU national members haven’t. This is one thing that came out strongly from local meetings; many of whom present struggled with the concept in the 21st century. Having said that I do broadly support the principles, and glad that they somewhat radical. Good luck with the Revolutionary Platform to unite all the rrrrevolutionary groups. You would have better luck herding cats. Try to get one unified Fourth International while you are about it, that should keep you busy. The way I see the future of Left Unity is this. We need to distance ourselves from the Labour Party idea that capitalism can be gradually reformed, or, worse , that it is possible to manage capitalism in the interests of the majority or people without fundamentally breaking with it. If any of you believe that then the Labour Party is waiting for you and I feel your mission will have a tragic ending. See you later. We have to point to a future where political democracy is deepened and expanded to include democratic control over the really important stuff in society, ie the economic decisions that determine all our life chances. This does not mean completely snuffing out of individual freedom or private ownership. The necessary balance between full public ownership, co-operatives or private enterprise is a detailed discussion to be worked on as the economic and political situation develops, BUT it does mean that you have to take away the main levers of economic power and ownership from the wealthy, elite (the ruling class), or they will make a fair and just society impossible and probably overthrow you. This means taking control of the natural monopolies (gas, water etc), the banks, and the most important, largest and/or strategic private companies, and we will have to rely mainly on OURSELVES to do this, not just leave it to elected MP’s – there is more to state power than just Parliament, necessary field of work as it is. What we do NOT need is a set of pickled cliches from a past revolution that untimately ended in a savage disaster in any case. NOR do we need a prescriptive road map based on that one example of a (failed) revolution that everyone needs to adhere to if they are allowed to be ‘one of us’. None of us really know how the process of achieving a fair and just, (socialist if you must) society will actually develop. Anyone who says they do is fooling themselves, or just seeking control. Lenin had never heard of Soviets till the workers in Petrograd invented them in 1905. Who knows what methods, ideas, popular resistance strategies and democratic structures will be thrown up by ordinary people as they start to fight? Who knows what we are going to learn from them? There are examples all over the world to look at anf learn from. The more we insist on a list of prescriptive revolutionary items of faith at this early stage the more divisive and pointless we will seem. Look at the division and pointless, tragi-comic sectarianism which that approach has led to in the existing left parties in the last century and they are still at it. Can we just focus on the essentials of what we agree on and what our ideals for a future society are? I am not a member of any ‘platform’ or faction. However, if any one of the ‘platforms’ take control then I do not intend to leave (unless forced to, of course). I will stay and argue my case. My only loyalty is to Left Unity or whatever it is eventually called. That is enough for me. We have democratic structures and individual members can use them to establish a broad consensus about our aims and objects and form a new united party to represent the hopes of ordinary working people. Love this point. We (marxists) are always tempted to adopt a position of being ‘the one who knows’ in debate, especially with our ‘big massive socialist theory’ to back us up, which appears to explain the whole process of history etc. We don’t yet know how to build a socialist society in 21st century Britain. We shouldn’t be afraid to admit we don’t know. I’m pretty relaxed about the fact we now have 3 platforms, although I’m Supporting the Left Party Platform, I do welcome the fact that the other 2 platforms are out there. I don’t see why w can’t debate all the platforms in a constructive way and possibly take bits from each of them as a final ‘mission statement’. Steve Wallis’s ‘Call for a Revolutionary Platform’ (RP) defines revolution as “sudden thorough change, preferably through peaceful means like a general strike”. Apart from that, I think the RP is indistinguishable on any meaningful level from the Socialist platform and its concept of revolution is limited to a seizure of state power. 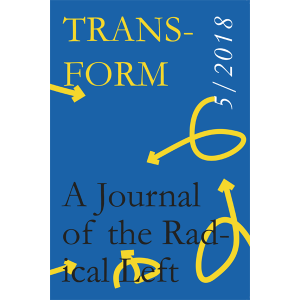 This makes it susceptible to the criticism made by the signatories to the Class Struggle Platform, that it “presents the socialist goals of the future in serene abstraction from the day to day battles that the working class are carrying out”. To me, a revolution is so much more than this: it starts before this seizure of power, usually significantly before, and continues long after it, because the whole gamut of social relations of production – everything involved in the way we live – would change fundamentally. Definitions that focus only on the seizure of power leave the broader process open to abuse and distortion; control by forces that have taken control of the state in this way has often resulted in oppression and dictatorship in the name of the working class. But Steve may well agree with me on that, so I don’t think it is a big issue, except insofar as it underlines the need to talk about revolution as a bottom-up emancipatory process that emerges out of class struggle. My real issue is with the Class Struggle platform (CSP), which starts off repeating the traditional, hackneyed, explanations for working class quiescence – betrayal or lack of leadership from reformists and trade union leaders – and asks for a struggle, under a new leadership, yet couched in reformist, defensive terms – “the defence of the welfare state gained since 1945” and the NHS, but which manages to combine this retro vision with the fantasy of “driving out this government” this very autumn, via a General Strike, led by rank and file trade unionists, with soviets in every town and city, a process now re-badged as the ‘national strike’ and ‘peoples’ assemblies’. The florid language of ‘pogroms’ is then introduced by the CSP without any kind of attempt to stand this up. 1 The policies of the 1980s, the 1990s and the 2000s have more or less replaced the strong attachment of the working class in particular to public services with a cynicism which comes from a constant stream of bad experiences and horror stories about how the part-privatised, much reduced public sector provision fails children in care, fails people who attend hospital for treatment and fails old people in care homes. It also fails people with disabilities, provides instruction rather than education in the state education system and has long since failed black and Asian Britons systematically. The modern welfare state and NHS has been formed by 30 years of policies into a target-driven, over-inspected, de-democratised, part-privatised set of organisations where public service values and a sense of vocation among managers and workers have almost been exterminated. This has demoralised public sector workers and kept the rest of the working class from seeing public services as something belonging to us or worth defending. The Coalition government knows that they can draw on a wellspring of public discontent with the way public services have degenerated over the past decade to prevent resistance spreading beyond those whose jobs are at stake, but this seems to have escaped the notice of the CSP signatories, who, like the Labour Party, seem to think the British working class has an almost genetic adherence to the work of the 1945 Atlee government which nothing can ever break. Sad to say, it has broken. To fight cuts we have to fight to transform public services in line with a new, not an old vision that states afresh how they are decided on, delivered and managed. Specifically, we need to find a way to counter the Coalition argument that there is something debilitating for people and society if there are well-funded public services and that every pound paid in tax is properly regarded as a loss to the individual. 2 Trade unions have been losing members for so long and to such a debilitating extent, due only partly to anti-TU legislation but also because of their inability to offer meaningful protection to the millions of modern workers on ‘zero hours contracts’, working via agencies, in part-time employment or in marginalised ‘self-employment’. The private sector is fast becoming a TU-free zone and no modern-day rank & file movement could claim to represent it. 3 So long as the Left fails to acknowledge the scale of the ideological victory of free market capitalism over social democracy in the course of the past 30 years, it will fail also to understand that this induces feelings that we don’t have the right, let alone the might, to oppose what the government is trying to do. People need confidence to fight back and even more confidence to join in with others who are fighting back; people need to believe that there is another way, a better way, before they will generalise struggle. This has to be built from scratch by taking socialism anew to the 21st century working class. The fact that the government and capitalists are attacking with such vigour at the precise historical moment when belief in the market has been knocked sideways by economic crisis and on the back of British Democracy’s still raw crisis of political legitimacy and even though capitalism has no idea where its next round of accumulation is going to come from is what should bring the Left’s fundamental political philosophy into play. This has to go far beyond a set of demands and specific alternatives, including those in the CSP, to a compelling vision of a better and fundamentally different future that will appeal to modern people. If we do not win hearts and minds in this way for this alternative vision, we risk not just failure in resisting the Coalition offensive, but what we stand for becoming even more marginalised in the foreseeable future. Pretending that we are months away from driving out this government and that the Labour Party and trade union leaders are the explanation for the lack of significant resistance to the enforced austerity programme is pie in the sky and not something we can take to any group of workers. There are real material and ideological reasons why so many struggles keep breaking out all over the world, burn brightly for days or weeks but yet never last very long. No-one outside of a small minority of us has an alternative, so militancy has nowhere to go and burns itself out. We need a new organisation rooted in an understanding of the 21st century world. That’s why I support the Socialist Platform. I’m strongly opposed repeating the failures of the past, insisting on a dogmatic approach which attracts the same set of old comrades @ 0.n % of the population. We have to acknowledge that fighting for reforms in the short term is entirely compatible with aiming for socialism in the longer term. Big jobs have to be completed in planned smaller stages, of course. You historians should understand this and the need for a necessity for a transitional path. Which family man or woman would take part in a revolution unless they were starving an in very large numbers? We do need to offer an alternative electoral agenda for the people. This isn’t just copying the type of great work the SWP (far left Trotskyist) did in getting Respect (progressive ala Australian Greens) elected in Bradford West (the largest increase in share of the vote, 52.8%, since the introduction of universal suffrage). It’s the creation of an organisation dedicated to campaigning for and providing the machinery for cooperation between the parties for both campaigns and electioneering. The work involved in this starts and local level: our reps attend all of the meetings, create local news boards aggregating the various threads of activity, bringing them out of the shadows with better publicity, articulating the ideas from the various parties in a language non-activists / all can understand and support, researching community responses to campaigns, putting together campaigns to support local council elections, bi-elections etc. to get a progressive socialist agenda into power. That is NOT the same as saying we will put ANY policy forward just to get elected. Socialists like all persuasions come in extreme thru mild forms I wish people would stop trying to say “socialism = far left” – it doesn’t. I respect the SWP for what they do. When combined with Respect an essentially socialist agenda was voted into parliament. When not combined … So LU is for election success of an essentially progressive socialist agenda that wins the support of a wide range of voters. I attend the communist party, cuba solidarity, swp, left unity and people’s assembly meetings in Cambridge and know several people here who think that the creation of “friendly relations / operational cooperation’ between these different teams is a good idea. I see good people in all these groups: and I see a core set of beliefs. Why split them? The far left will always exist as will the far right. I count myself a hobbit! My preference would be to say we will endeavour to facilitate a unifying of the left and appeal to you all to recognise that to get a socialist agenda into government we have to aggregate and yes that means a transitional compromise agenda the majority of people can understand and support. I believe we should put agreement on such a statement foremost and stop discussing the revolution (its being taken care of by groups already) then sort out the machinery to bring it into power. Ged, I entirely agree that “We have to acknowledge that fighting for reforms in the short term is entirely compatible with aiming for socialism in the longer term” and for a campaigning organisation which works at the local level “bringing (issues) out of the shadows with better publicity, articulating the ideas from the various parties in a language non-activists / all can understand and support”. But it is still the overwhelming case over the past decade or so that “there are real material and ideological reasons why so many struggles keep breaking out all over the world, burn brightly for days or weeks but yet never last very long. No-one outside of a small minority of us has an alternative, so militancy has nowhere to go and burns itself out”. This means that we have not only to be able to we also have to be able to generalise local struggles in the way you summarise, but to argue through these for a compelling vision of a socialist society. Socialist ideas will be attacked, mocked and denigrated by all other parties as soon as we enter the electoral arena and we have to be good and ready to define and argue for socialism, against capitalism and do so from an agreed political perspective which relates socialism to the 21st century, not to some past that no longer exists. Let a thousand flowers bloom. The more the merrier. So now we have 3 platforms (and a fourth on the way. ) Good news. So far we have one Labour left and two Trotskyists platforms.. We need a few more Trotskyist platforms to get a better reflection of the current situation. But I think we need an alternative which is neither labourite nor Trotskyist or 1945 versus 1917. Inherent in any platform addressing class should be a strong anti-monarchy element. The 30 strong Windsor cabal is an emblem of militarism, social division, obscene excess and unelected power, which has been internalised through consistent propaganda over generations. It is constantly reinforced by the mainstream media and particularly a servile BBC. Well done for all the hard work that is being put in by all for the success of Unity Left. Is a postal address available Class Struggle Platform. Well done for all the hard work that is being put in by all. Is a postal address available for Class Struggle Platform. I have read some of the platforms.I think most agree on the main aims of what L.U is aiming for.The difference is how we achieve them.Talking about barricades and militias should not be used.We need to have political theory.Someone once said. Practice without Theory is blind and Theory without practice is Sterile.I dont know who said it but it makes sense to me.I said before talking about barricades etc, is not the way forward. I believe we have to start from where we are now.first and foremost we have to win the propaganda war (this in itself is a very big battle).To convince people of the benefits of a socialist society as against the present capitalist.We would have to be able to see into the future,in order to draw up a plan on reaching our goal,I think we should take things in stages,carry the people along, letting them decide on the next move. (with some guidance from our political theory).Trying to go too far at the begining will only turn people away. P.S sorry if my grammar isnt very good. I should have added earlier, that i hope when we finally AGREE on a platform at the November meeting.We end the debates on the best way forward, GET IT TOGETHER and put all are efforts into going forward.